According to research, there were around 47 billion web pages in Google index by May this year. For a business trying to stand out from 47-billion page crown to find new business, this is not good news. Online marketing is all about creating and nurturing meaningful engagement, especially for businesses with longer sales cycles. This means you build meaningful relationships with your page visitors so that they come to rely on you as an industry expert in your field and trust your message. This engagement also attracts search engines to your business. 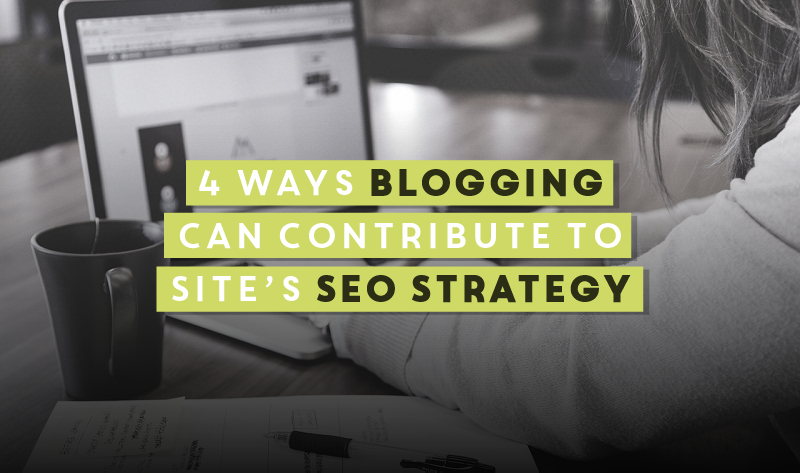 Having a blog provides an effective platform not only for SEO, but also to enable every brand to build its brand image, increase traffic as well as raise awareness and brand reputation. A blog gives the space on which to regularly provide high-value, high-quality and fresh content for your users. This ensures you always have your visitors coming back, increasing engagement and consequently ranking. Search engines are about providing users with the best UX. Therefore, they look for sites and pages with up-to-date and fresh content – the algorithmic term for this factor is Query Deserves Freshness (QDF). Search engines give more weight for fresh content on current topics. They interpret recent updates as being more relevant and current than those of pages that haven’t seen updates in weeks or months. Search engines believe the former provide better user experience overall. Keywords are still important currency in terms of SEO. These present simple phrases/words most commonly associated with a certain field/brand. Until now, keywords have been improperly used, a technique known as keyword stuffing, in an effort to manipulate search engines and outrank competition in search results. Blogs are an ideal platform to generate and promote content in the right context around your targeted keywords. This can be through blogging on various topics and addressing key questions within your industry in each post. In the process, you can naturally incorporate your keywords and their variations without sounding artificial/forced. You can also create pages centered on various keywords to improve your page reporting strategy. Traffic driven to such pages from search engines will have used your targeted terms in their search queries. This way, you can understand how best to use queries and keywords for your content strategy. In the absence of a blog, a page can only have so many sites. While Google’s Matt Cutts has been on recording saying that having more indexed pages in search results doesn’t mean higher rankings, larger sites are still more valuable in that you have more pages that could possibly be ranked for a certain query than smaller sites. Running a blog on your site allows you to increase your web pages easily. Every new page is another page that can possibly rank for a certain keyword, and another opportunity to provide value and engagement for users. You will have a better internal linking structure and provide more information to reduce your bounce rates and keep users on your site. More pages mean more pages for backlinks, which can elevate your pages on search results. However, every new page must fulfill the criteria for top ranking – have high quality, relevant content with design elements appropriately applied to give the best user experience. Each time you create high-quality, high-value content, you can actively promote your chances of securing backlinks. Readers and followers of your blog and content series will likely reference the content in other places. You can also find other resource centers that your audience frequent and asked to be included there. Having multiple pages that provide useful information on different subjects and keywords in your niche provides linkable pages for those topics. This is the best way to secure/earn non-spammy, high-quality backlinks from your peers and other authoritative sites in related industries. Backlinks, despite the negative SEO, are still quite valuable, since they are endorsements for a given brand/webpage regarding its authority on the matter under discussion. What Google and other search engines want to see is high quality backlinks devoid of any manipulation. Blogs make this easy and possible, enabling you to build authority for your site through your backlink profile. Blogging offers useful tools through which you can provide high quality, valuable content that page visitors and hence search engines will like and reward. The additional pages just contribute to plumping up your site; they provide more space to improve SEO, drive meaningful engagement and traffic conversions as well as provide more value for clients/visitors.